Held in a rainy day, the winner was the reputed Ethiopian runner Tamira Mola. 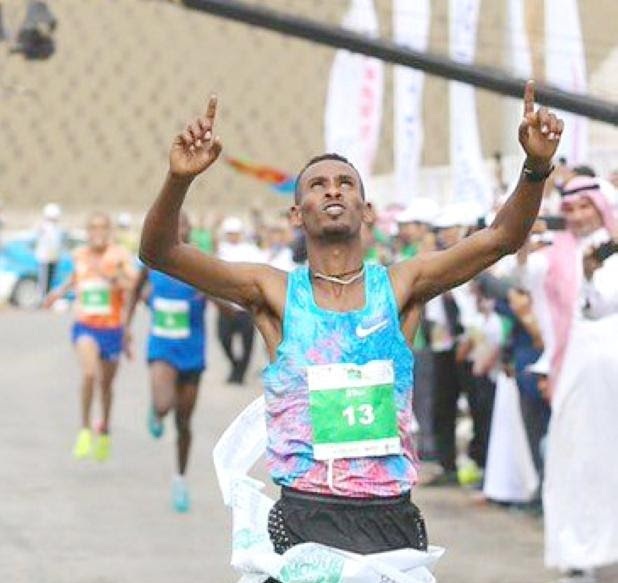 The marathon started and ended at King Saud University stadium, with participation of hundreds of people. It included especially invited 200 plus, best runners from 25 countries. Also included a 79-year old Saudi, namely Khalaf al Balawi. The prizes and awards were won by 10 runners in each category. According to the rules, the age limit for the professional category was 14 years of age or above; had no age limit for amateur participants and fun categories in which special needs athletes.